Got some leeks that need to be used up? 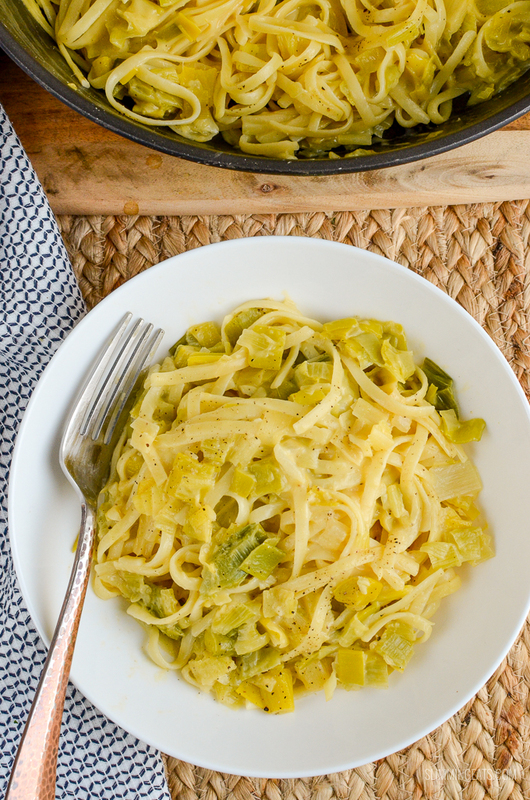 Then this One Pot Creamy Cheesy Leek Pasta is a must make dish and only 1 healthy extra and 2 syns on Slimming World!! Last week I stocked up on lots of healthy vegetables as I wanted to get some soups batch cooked and put into some tubs to stock up my freezer. 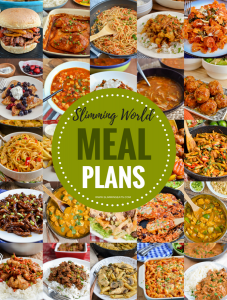 This time of year starts to get super busy for me, and if I don’t have meals on hand in the freezer that I can quickly heat up, I find it very hard to stay on plan. So I like to be well prepared. Plus we were going away for the weekend to Toronto, and whenever I got away, It always takes me a couple of days to get back into a routine, so I knew having lots of yummy soups on hand in the freezer would be useful. I picked soups to make based on the vegetables I had bought and what I had on hand. 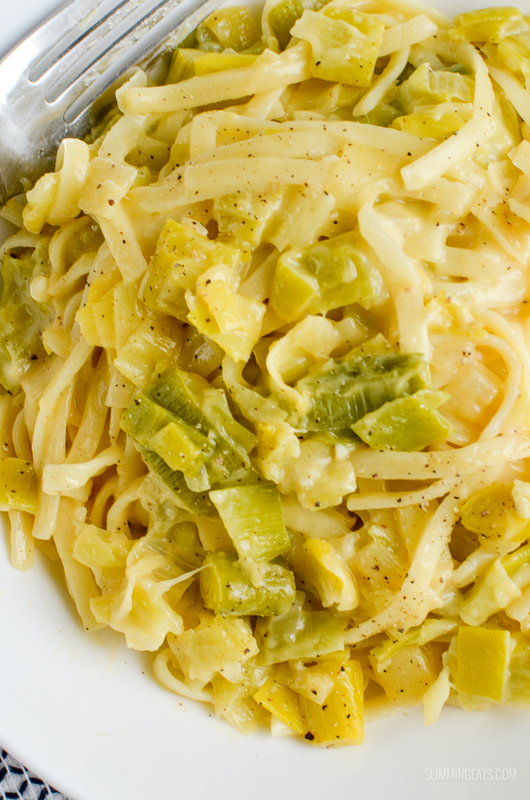 All perfectly comforting and filling for this time of year and great for freezing. My favourite containers for adding soups, chilli, bolognese etc too are these Anchor Glass Storage Containers with Lids. The bonus of them being a glass container is that they are also ovenproof, so if it is something that can be cooked in the oven, these can go directly into the oven, unlike some plastic storage containers. Once I had batched cooked all my soups, I had quite a few leeks leftover that I was trying to decide what to make with. I didn’t want any more soup, as there was plenty of those now. 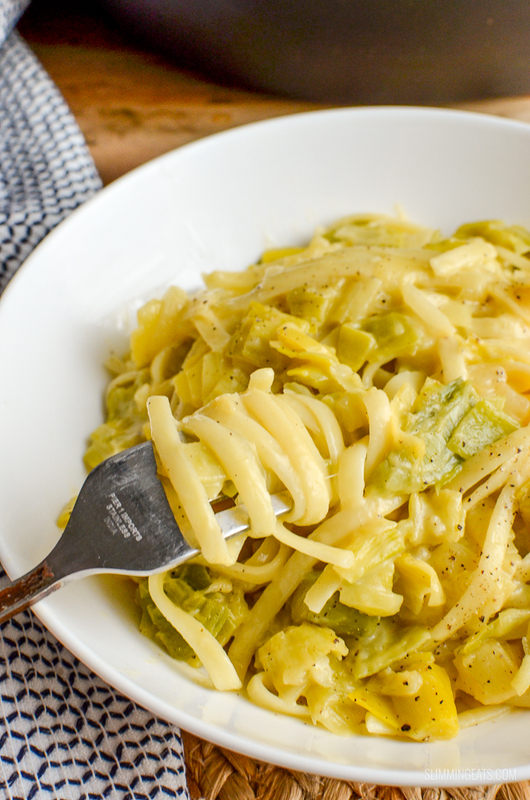 I almost went for a leek bake, but then decided I fancied pasta, so figured a One Pot Creamy Cheesy Leek Pasta would be perfect. 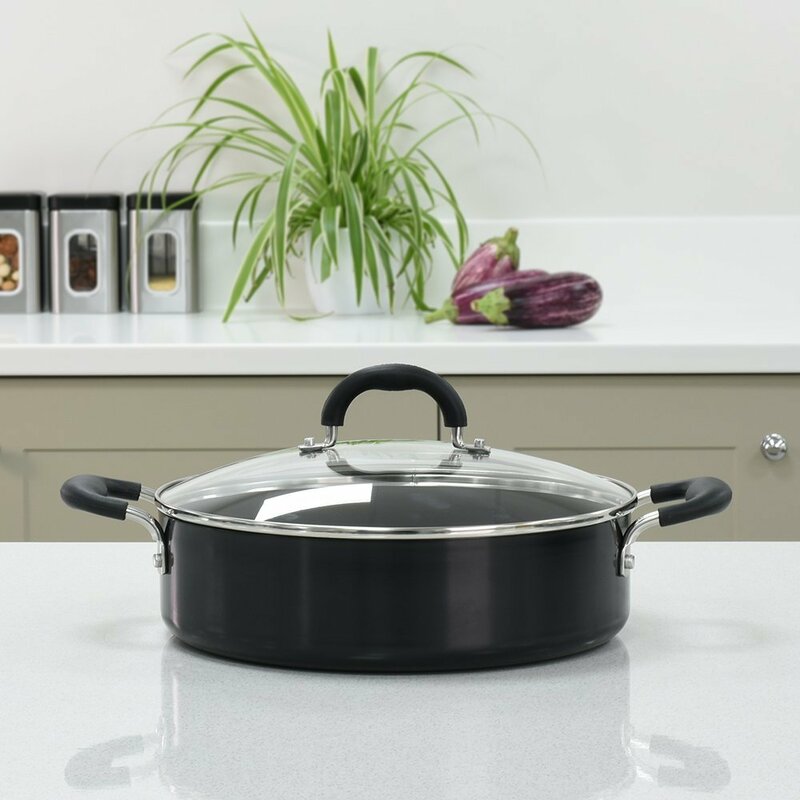 I love one pot pasta dishes at the moment, super easy to make and less washing up, which is always a bonus in my opinion. For a one-pot pasta dish, I recommend a deep frying pan with a lid. This ProCook Gourmet Non-Stick Pan is a perfect size. First I sauteed the onion, garlic and leeks until softened and translucent, I like to use a little bit of the stock along with the spray oil, the little bit of stock, really helps to saute the veg without the need for lots of oil. 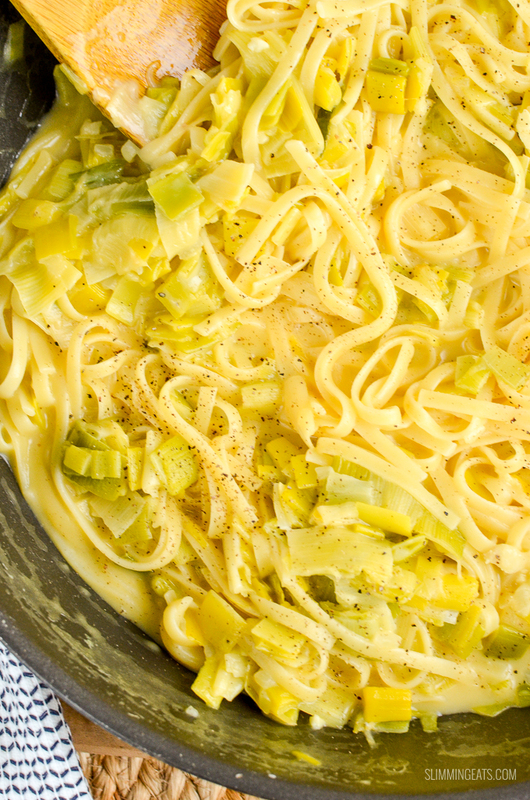 You can use chicken or vegetable stock in this One Pot Creamy Cheesy Leek Pasta, depending on your preference either is fine. If you are vegetarian of course you will want to use vegetable stock. Also for the cheese if you are vegetarian, you will want to make sure the parmesan you use is free from animal rennet, there are many out there now that is, or you can just use all cheddar instead. For the creaminess, I use low-fat cream cheese (like Philadelphia), which is 1 syn for 1 tbs, check the syn value of the one you use, as different brands can vary. I don’t recommend quark, even though it would be an syn free option, it doesn’t quite give that same creaminess as it is sour in taste. For the sake of a few syns, you are better just using the low-fat cream cheese. 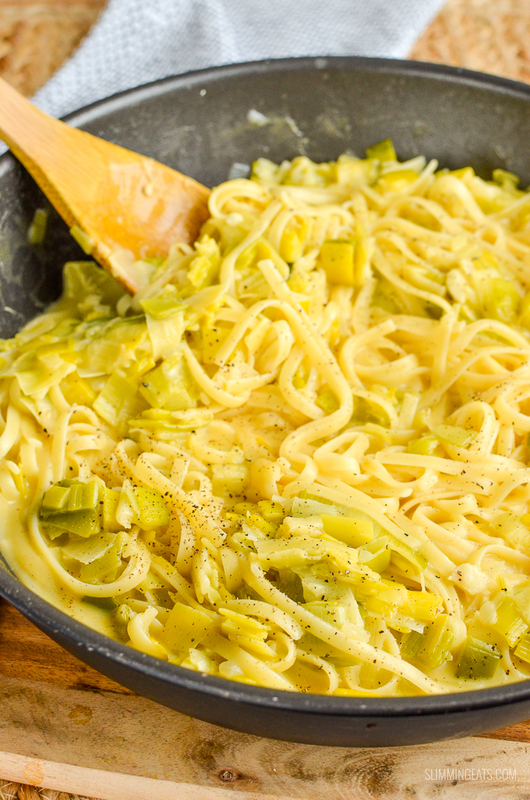 I made this One Pot Creamy Cheesy Leek Pasta to serve 2, but if you want it to serve more, you can just double up the ingredients. 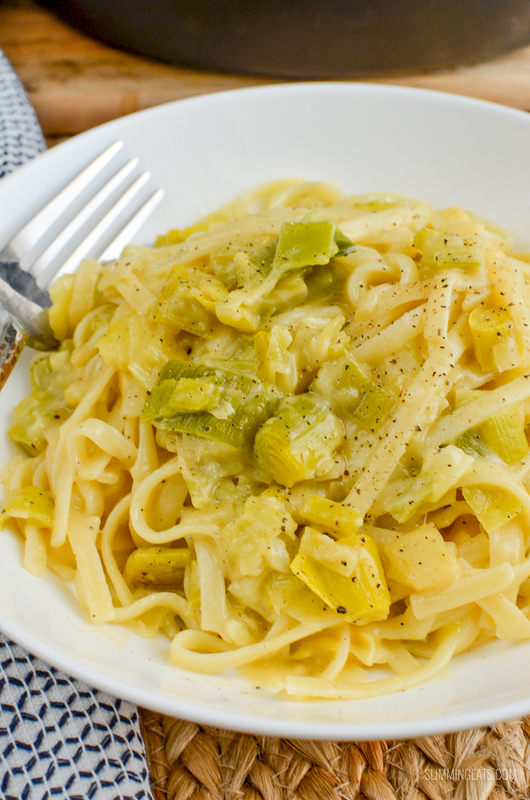 If you are not vegetarian and have some chicken or bacon spare why not add some to this One Pot Creamy Cheesy Leek Pasta, it would be an amazing addition. What Kitchen Items do I need to make this One Pot Creamy Cheesy Leek Pasta? Spray a deep frying pan over a medium-high heat with spray oil. Add the onion, garlic, leek and a little bit of stock, salt and black pepper and fry until translucent. Add the pasta and stock, bring to a boil, cover, reduce heat and simmer for 10 mins. 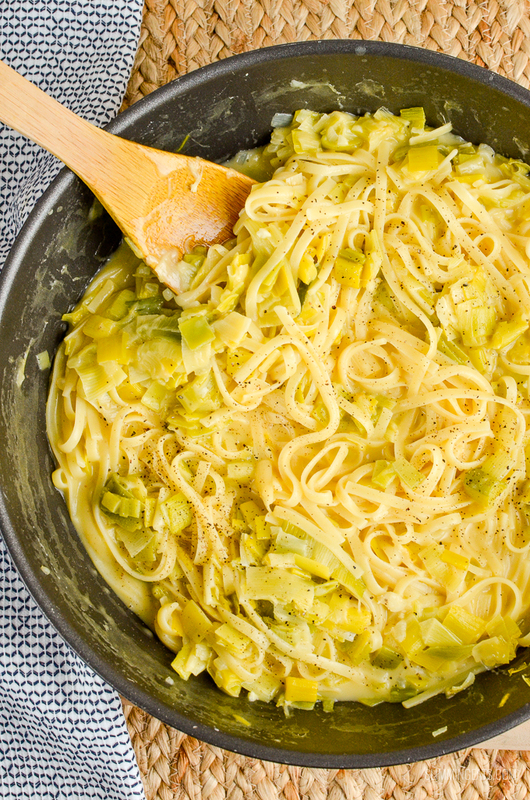 Remove lid, stir in cheddar and parmesan until melted and pasta is creamy and velvety (a couple of mins). Such a simple dish too, right? I am so glad you enjoyed it. Beautiful! Added chicken and bacon too as was sitting in the fridge. I want to add those next time, I think bacon will give it a wonderful flavour. I know right? I really am enjoying one pot meals at present. So quick and easy. So tasty and easy! I added spinach, red onions and frozen peas and it was so good. I love the suggestion of adding garlic and herb philli too. 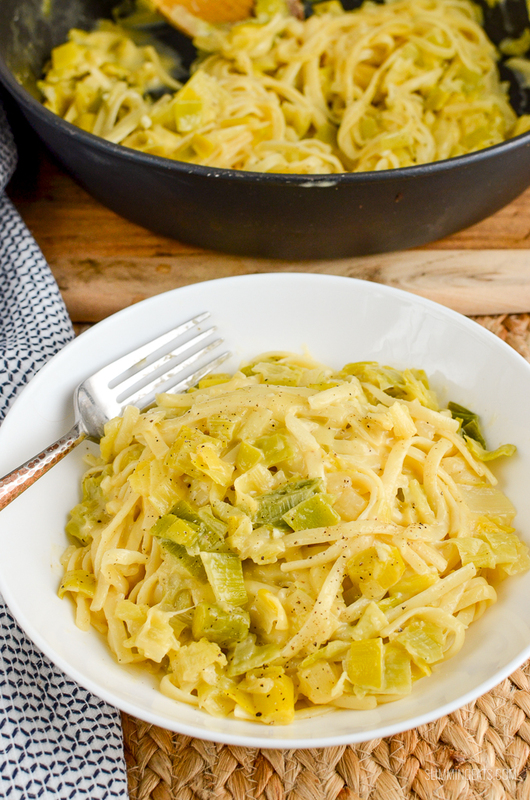 A good low syn alternative to the carbonara I used to make. That’s about what I used then I googled it and did a bit of guess work, this was delicious! 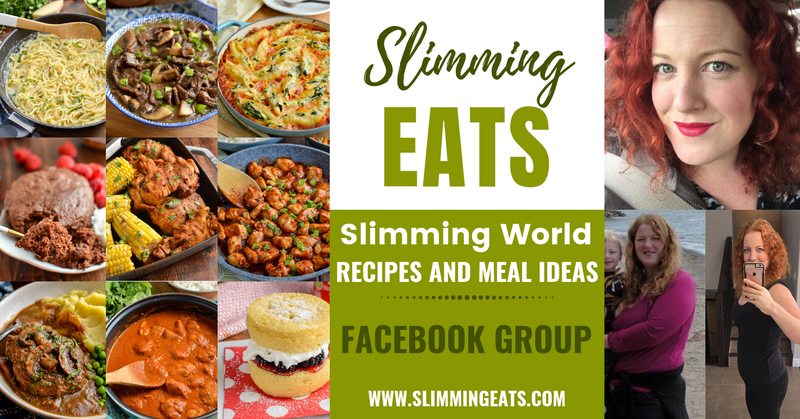 I’ve joined your Facebook group and will try more. I have so much fromage frais in my fride leftover from another recipe, how well do you think that would work in place of the cream cheese..? Hi Nikki – it should be okay. But I would take off the heat before stirring it through, as too high a heat might cause it to split. You might want to take it out of the fridge to bring to room temp too. This disg is so easy but packed with flavour and absolutely delicious. My husband isn’t on SW and he loved it. Definitely one to make again. Thank you. We had this last night and it’s delicious. My husband isn’t doing SW but he loved it. Definitely one to make again. Isn’t it great when all the family can eat the same food? Thanks for commenting. Proper comfort food and absolutely delicious – definitely going to be a favourite. so glad you enjoyed it. Thank you for commenting. Made this tonight with added bacon and hubby (who doesn’t do SW) loved it and asked if we could have it again. Well done Siobhan – another winner! Just made this, added a couple of chicken breasts, will do it again hubby said excellant that is high praise. I loved it and it is so easy, amazing how the Philli melts into the stock.